Video games a multi-billion dollar media industry, so it's natural that a lot of hype in various forms will be used to promote titles, especially the bigger budget ones that are expected to do well. However, not all games can live up to the hype. Here are eight examples of games that tried and failed to live up to what their marketing promised. In Star Wars: The Force Unleashed, you're Darth Vader's apprentice, one of great power in the force and as many saw in its trailer, even able to bring down a Star Destroyer by yourself. The action was intense, the storytelling was fantastic and it offered both a challenge and simple fun for any player into the Star Wars universe. It seems as though the game lived up to the hype that everyone heard about beforehand. 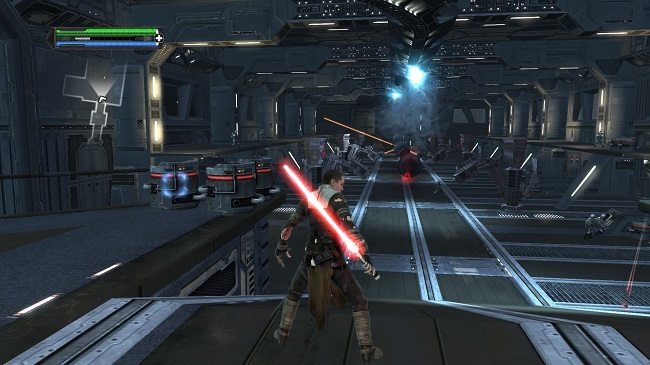 The second half seems to die down a bit and turn into a typical 3rd person shooter, just with a lightsaber. The second half feels more rushed and less substance hoping to lure folks into a half-finished game.